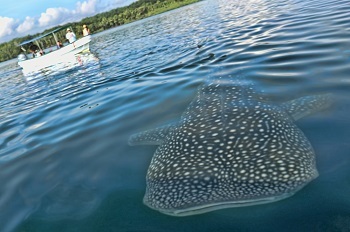 If you love whale sharks, remember that it’s whale shark season on Costa Rica’s Osa Peninsula, where every January, the enormous, omnivorous creatures gather for a plankton bloom. In one of the mouths of Térraba-Sierpe, at the end of January this year, there was a glad surprise: a new visitor who caused a sensation among residents and tourists. It was a nine-meter whale shark. This is the largest species between fish and it is difficult to observe. "The individual was found feeding near the surface. Their presence near the mouths of rivers is known worldwide and has been associated with large numbers of larvae of crustaceans, such as shrimp, "he said Keto in an official press release. On Monday, Jan. 27, Renate Herberger will start for the seventh time her 1,100 kilometers swimming trip along Costa Rica’s Pacific shore. It's a tradition that Renate, before she begins her 1,100-kilometer swim, always sings a song to the African goddess Yemaya, who watches over the sea. With this song, renate asks Yemaya for permission to enter the endless Pacific. sing that song again. The well-known German swimmer , Renate Herberger , who started six years ago in Costa Rica as the defender of the sea, is back in Costa Rica to meet its sixth consecutive trip . 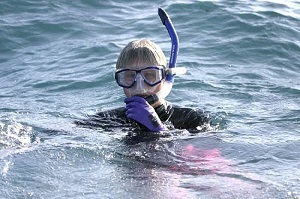 Renate Herberger seeks to spread a message on behalf of the oceans. Villagers know them as " kúkulas " u " perezos Bears" and some to associate with witchcraft. Puzzled by their behavior , do not understand why they do not move , do not run, no tured , like other mammals. Penshurt . - In a thick tropical forest crossed by a river of crystal clear waters, tender but little known sloths have a sanctuary in the Caribbean of Costa Rica , one of the few research centers in the world specializing in this mysterious animal. According to AFP , a sloth cement nearly four meters, which reproduces in full-scale prehistoric animal, greets visitors at this retreat located on Penshurt province of Limón. There arrive injured, run over, electrocuted in the electric cables or laying orphan because his mother was attacked by residents of the area or hunted by unscrupulous . 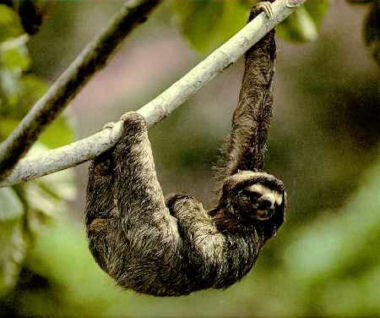 Sloth Sanctuary of Costa Rica , covering 130 hectares , was created in 1992 by the Costa Rican Luis Arroyo and his American wife Judy Avey , to protect, rehabilitate and study these enigmatic animals , but also to educate about them. is to love them. " Costa Rica never ceases to amaze us and give us opportunity to adventure. 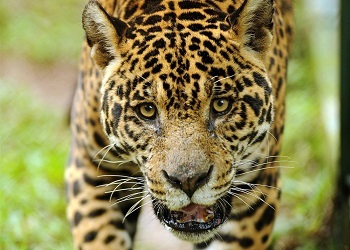 Consistent with its policy of environmental protection of their wealth , the government of Costa Rica has recently signed an agreement with Panthera , an organization founded in 2006 for the worldwide protection of wild cats and their ecositemi . Theme of the creation of the " Corredor del Jaguar ", a protected area where the jaguar can move freely, even through populated areas. The convention signed with the Government of Costa Rica in addition to those already in place with other Latin American governments for the protection of America's largest feline . Alan Rabinowitz , Panthera manager , explained that once made ​​enforceable , the agreement with Costa Rica will allow for the safe movement of groups of cats throughout the area in which they are present, from northern Mexico to Argentina. Volcánica between the Cordillera Central and the Cordillera de Talamanca in Costa Rica and the southeastern part of Nicaragua are already developing pilot projects , which will be designed further example of the " corridors of the jaguar " in the rest of the region with the purpose of scientific research and education of the people of the affected areas . An important point to know in Costa Rica about hot springs, is that in all the territory and expecially La Fortuna/Arenal there are many hot spring options – many of which are worth the entrance fee, such as: the Tabacon hot springs, Ecotermales hot springs, Baldi hot springs, the Springs Resort hot springs (Los Perdidos), Titoku (Arenal Kioro’s hot springs), Los Laureles hot springs, Los Lagos hot springs, and the Paradise hot springs. All these places attract the majority of visitors and each site offers travellers a different experience. Tico germinating soil , hot springs are pure gold for those who want to relax, relieve a physical evil or just a quiet family share plan.Hot shower Baldi Hot Springs offers stone monuments that simulate natural waterfalls . Some tourists sit to stand and wait for the hot water run over their bodies. Heated by volcanic veins that traverse the country , temperature and mineral hot springs provide a welfare would be a great shame to waste , especially when our lands are restricted in at least 15 tourist spots in which you enjoy. Except Heredia, Puntarenas and Limon provinces offer other options for you to escape from work stress, put on his bathing suit and soak in the warm waters . The rainy season does not matter here! The hot springs in Costa Rica come from rivers, springs and dug wells, are offered in the country by luxury resorts and business of rural character. That is, the thermal experience does not come alone, but is accompanied by basic supply services , gourmet delights and fine accommodations. The traditional seaside resort of the country is Tabacon Resort, but also one of the most expensive and luxurious . 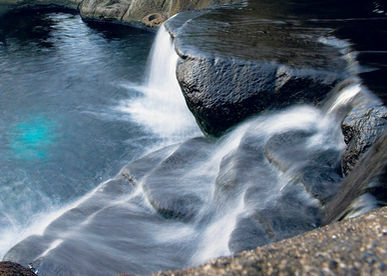 Located in San Carlos, on the slopes of the volcano, the resort has two streams of mineral water, one cold and one hot. Other centers in the same area are the Baldi Hot Springs and Hotel Kioro. In both, the hot water is pumped to the outside and made ​​to form artificial pools visually appealing and different temperatures. " The largest hot springs in the world " and is touted by Baldi Hot Springs has 25 pools and the large size of each. Kioro The pools are smaller, but equally cozy with natural decoration. Healthy minerals and warm temperatures of the hot springs have proven to be very beneficial for the body and soul. German Fonseca enlarge Meanwhile, in Guanacaste veins Miravalles volcano enliven centers as Thermomania and Yoko, located in Guayabo and La Fortuna de Bagaces respectively. Both centers provide concrete pools and natural style and cabin accommodations . Thermomania also has camping area. In Hacienda Guachipelín in Liberia , the Rincon de la Vieja volcano warms the waters of a river that runs through the property and completely natural pools. In the foothills Chirripo highlights Gevi Thermal Spa , uniquely located in the province of San José. Gevi Springs is located in San Gerardo de Rivas, in Perez Zeledon, and apart from two thermal pools, offers trails , waterfall , gazebo and a coffee tour and avocado. By moving to Carthage, you can visit the Orosi Valley and attend the Spa Los Patios. Tuesday to Sunday open this spa consists of five thermal pools and two cold water. In the same area , to Los Patios makes it Orosi Hot competition , featuring four large swimming pools and temperatures ranging from 19 ° C to 33 ° C.
However there are still free hot springs, popularly known as the "poor" (pobres). On the banks of the river or Celeste Tabacon River in Guatuso , certain pools where you can enjoy the hot springs , albeit with fewer amenities. Being on a budget, the free hot springs is one of our favourite spots. In fact, the water flows from the same river that passes through the Tabacon resort but the water can be accessed outside the boundaries of the hotel (saving the entrance fee). Of course, this small hot springs spot located outside of the hotel pales is not so beutiful in comparison to the beauty of the hot springs inside the Tabacon resort, but for those who want to taste the basic experience (and to appease the budget), the mini-Tabacon is all you really need.